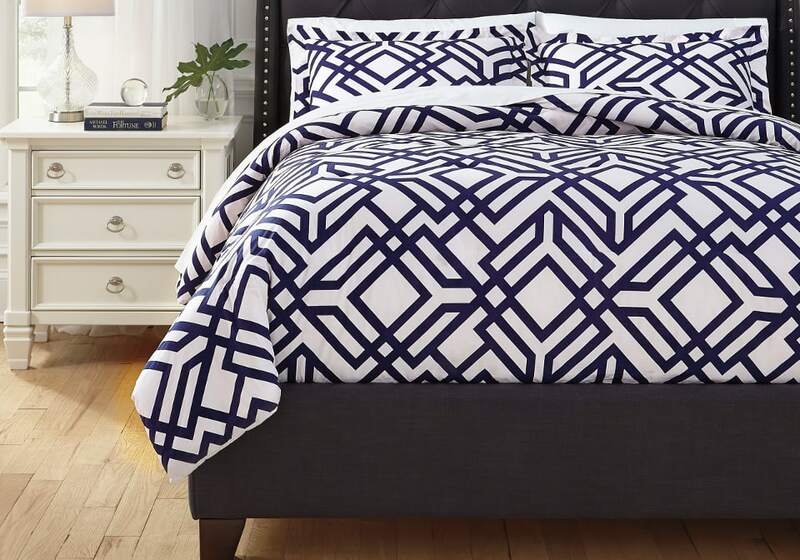 Always in vogue, bold geometric prints breathe life into even the most mundane spaces—and Imelda king comforter set is no exception. Crisp contrasting colors keep the busy pattern easy on the eye. 3-Piece Comforter Set – Includes Comforter and 2 Shams. 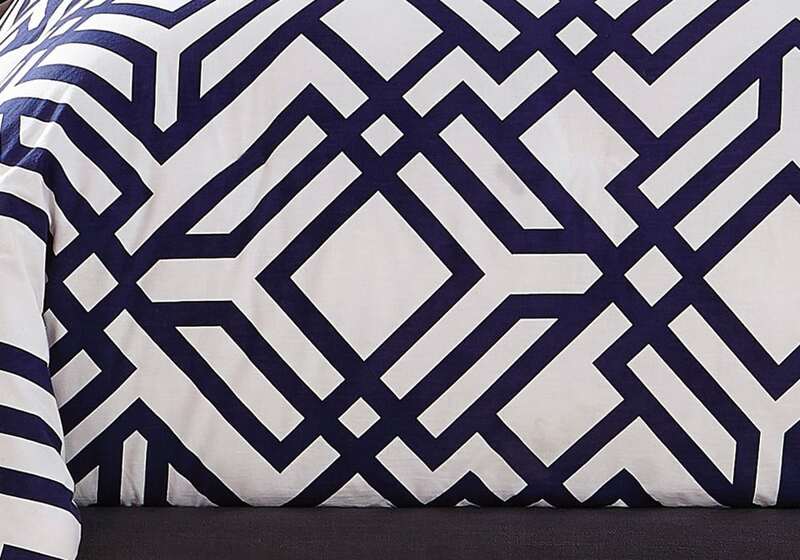 Geometric Design in Navy and White. Cotton Cover Filled with Polyester. Machine Washable.